AT the end of May, the Durham Pals were pulled back from the Somme’s frontline trenches and placed out of harm’s way in a camp at Warnimont Wood. Here, day after day, they practised attack on enemy held positions, unaware that the fateful first day of battle was now only a month away. The battalion constructed replicas of enemy-held positions and were drilled again and again in battlefield tactics. Lance Corporal WE Marshall, one of the Bede College trainee teachers serving with 18th Battalion DLI, later remembered: “The first three weeks of June our battalion was occupied in sapping work, or rather constructing large dug-outs. “Each dug out was supposed to be thirty yards long, with two staircases placed well apart, so as to provide an emergency exit. The depth below the surface was about thirty feet and the staircase had bends half way down to guard against bombs being thrown into the dug-out. “Such a place is almost impregnable and will sleep a platoon forty-strong quite comfortably. Here they learned the battle plan. D Company, largely made up of the men from Hartlepool, were trained in attacking enemy trenches, while the remaining three companies were to occupy the ground which had been captured and set up defensive positions to see off any German counter attack. Machine-gunner Lance Corporal Charles Moss, said: “A miniature copy of the German trenches had been prepared for this purpose on open country a few kilometres behind our billets. “A few brass hats explained the plan of attack, the timing of the attacking waves, the concentration of the artillery barrage and the formation of each battalion’s waves. “Our battalion was to follow and make strong points to hold the enemy counter attacks. “I was shown exactly where my Lewis Gun was to be, but when I asked the officer what my field of fire was to be, he couldn’t tell me. The battalion war history, written in 1920, records the detailed preparations for the final assault. 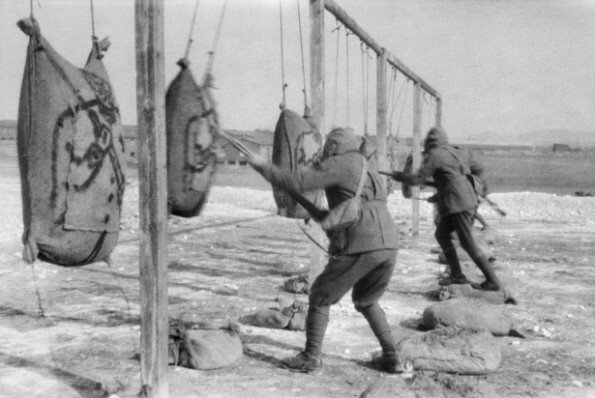 “During off days from working parties, the trench-to-trench attack was practised over taped or flagged trenches by companies, battalions and brigades. “Officers and non-commissioned officers were taken over small models on the ground and visited plastic clay models beautifully made.